The amount of funding the state Program of agricultural development in 2019 will amount to, and 303.6 billion. 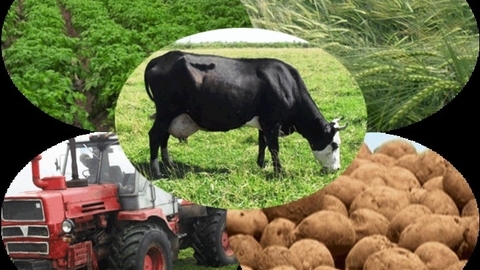 This was announced by Deputy Minister of agriculture of Russia Elena fastova, making a presentation "Main directions of state policy in the field of agriculture for 2019 and subsequent years" at the conference "agricultural holdings of Russia - 2018", according to The DairyNews with reference to the press service of the Ministry of agriculture of the Russian Federation. In his speech the Deputy Minister noted that the dynamics of the main indicators in AIC over the past 11 years shows a steady growth. So, from 2007 to 2017, the volume of agricultural production in farms of all categories in the relevant years increased by almost three times. While the average annual growth was about 3.5%. Elena fastova also told about major changes planned in the state program of development of agriculture in 2019 and future years, including amounts of financial support of agriculture and the adjustment of existing measures of state support. According to her, the state program of development of agriculture will be extended to 2025 and is divided into project and process part. In the design of the new Federal projects remain the previously implemented departmental projects and programs. In connection with the inclusion in the draft state program of new Federal projects, the funding of the program in 2019 increased by 47.8 billion or 19% compared to the 2018 year – to 255.8 billion rubles in 2018 to and 303.6 billion in 2019. In addition, in 2019 supports the construction and modernization of storage, breeding and nursery centers in the growing, breeding and seed centers in crop breeding and genetic centers in poultry, sheep breeding complexes for meat, capacities on manufacture of dry dairy products for baby food and components for them, with flax and incoprorating enterprises. Next year will be changed principles for the distribution of funds "single" subsidies in relation to insurance with the state support, according to which the Ministry of agriculture will provide additional financial support to regions that have made commitments to subsidize agricultural insurance – they increased the limit under the "single" subsidies on the basis of planned results by reducing limits on regions that are increasing their performance on agricultural insurance.